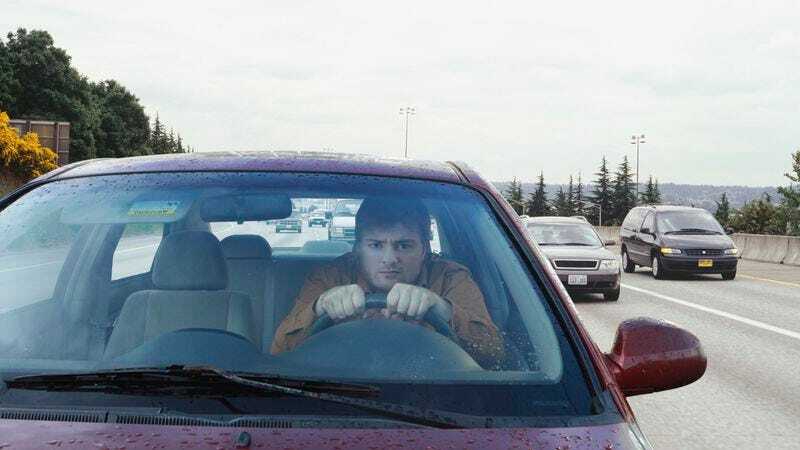 WASHINGTON—The Federal Highway Administration announced Tuesday that it will construct an additional lane along Interstate 90 to accommodate drivers traveling across the country in order to stop the woman they love from marrying the wrong man. “We want to ensure that any motorist who finds himself frantically racing along I-90 to stop a wedding at the last minute will have access to a restricted, high-speed lane to prevent his soulmate from making the biggest mistake of her life,” FHWA administrator Victor Mendez said of the new express lane, which reportedly will run the entire length of the highway, from Boston to Seattle, allowing drivers to make an impassioned, last-ditch attempt to declare their feelings to the love of their life and make sure she doesn’t end up with someone who couldn’t possibly care for her as deeply as they do. “Once construction is completed, motorists will be able to scramble into their vehicles, peel out of their driveways, and speed down I-90 unimpeded in hopes that there’s still time. We also plan to construct a number of wayside areas along the shoulder of each exit ramp that, if needed, will allow motorists to ditch their broken-down cars and make their way to the wedding venue on foot.” According to sources, the new highway lane follows a decision by the Federal Aviation Administration last month to relax safety restrictions at all U.S. airports in order to allow individuals to bypass security and run straight to their beloved’s departure gate moments before she boards an international flight.